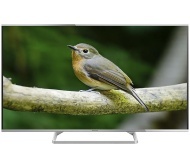 alaTest has collected and analyzed 135 reviews of Panasonic TX-48AS640. The average rating for this product is 4.5/5, compared to an average rating of 4.6/5 for other products in the same category for all reviews. Reviewers really like the size and glare. The design and usability are also mentioned favorably, whereas there are some mixed opinions about the price. Some have doubts about the reliability and energy efficiency. We analyzed user and expert ratings, product age and more factors. Compared to other products in the same category the Panasonic TX-48AS640 is awarded an overall alaScore™ of 90/100 = Excellent quality. Contrast shouldn’t ever sit higher than around its 80 level if you want to stop pictures looking noisy, and finally on balance we chose to leave the Adaptive Backlight switched on, as it doesn’t cause many distracting light ‘leaps’. Very slim, light weight, easy to set up remote easy to use. Sound quality is pretty poor considering the price. Keeps disconnecting from the Internet and its not the signal because nothing else does it. Poor user manual, I still can't work out half of what it's capable of!! No minus points that I can tell at the moment.